This article was adapted from Takahashi, A., & McDougal, T. (2016). Collaborative lesson research: maximizing the impact of lesson study. ZDM, 1-14. doi:10.1007/s11858-015-0752-x, which may be accessed for free by clicking on the link. Based on our experience with jugyou kenkyuu in Japan and our experience with various adaptations of it in the U.S. and other countries, we believe that certain aspects of Japanese jugyou kenkyuu are critical for improving teaching and learning. We use the phrase Collaborative Lesson Research (CLR) to refer to Lesson Study that includes those critical aspects. A process for sharing results. A clear research purpose: What problem are you trying to solve? 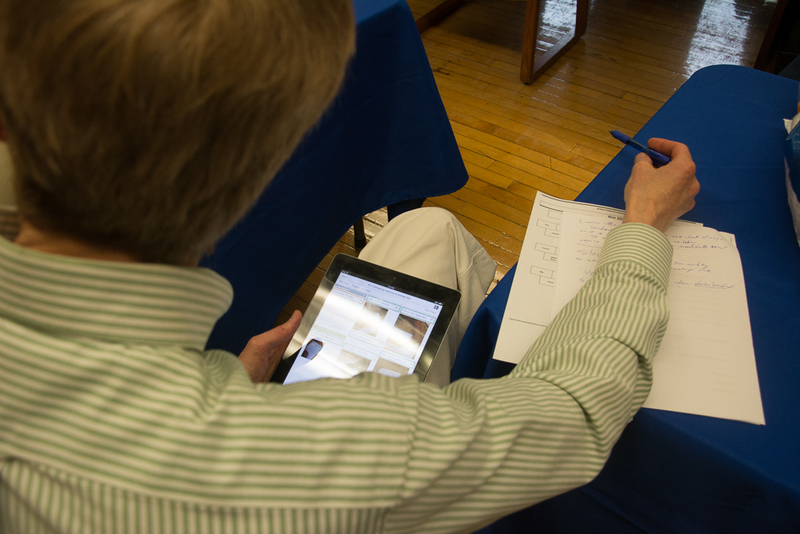 Sometimes teachers want to use a favorite lesson for a research lesson — one that will favorably impress the observers. Sometimes teachers will conduct multiple iterations of a research lesson, in order to perfect it. Both of these approaches miss out on the purpose of Lesson Study, which is to conduct research: to seek a solution to a teaching/learning problem. CLR usually has two research objectives. One objective relates to the teaching of specific content: How can we design a lesson so that students learn such-and-such concept or skill better than they have in the past? Thus the topic of the research lesson should usually be one which students or teachers have previously struggled with. The second objective involves a broad teaching/learning goal that is shared by the CLR community (e.g. all teachers of mathematics at the school), and that goes beyond any particular topic or grade level and may even be cross-disciplinary. This second research objective is referred to as the research theme. Ideally, a research theme describes (a) a desired outcome for students, and (b) an entry point for achieving that outcome. 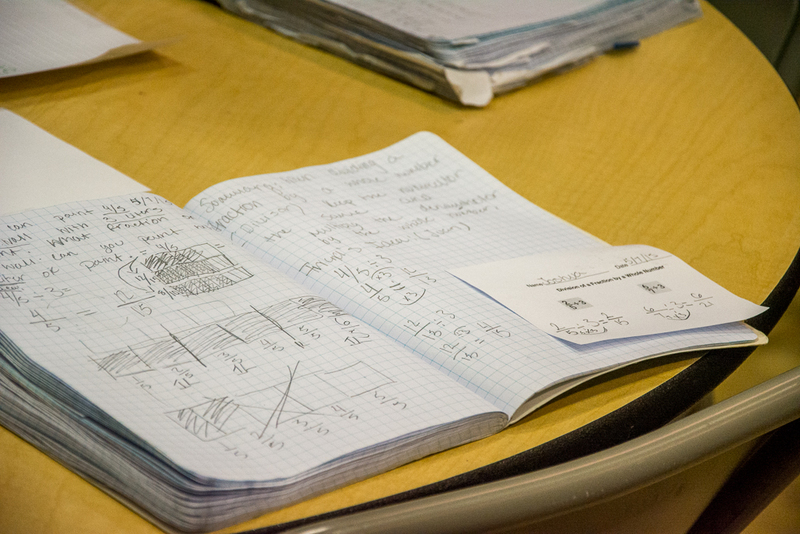 At Prieto Math and Science Academy, one of our partner schools in Chicago, teachers seek to improve their students’ ability to give a viable argument and to critique the reasoning of others; their entry point is teaching students to use journals to record their own ideas and the ideas of others, and using the whiteboard strategically to support student journal writing and classroom discussion. Almost every research lesson at Prieto since 2013 has sought to address this theme. Kyouzai kenkyuu translates roughly as “the study (research) of materials for teaching.” It is a routine part of lesson planning for Japanese teachers, but in Lesson Study it is done with an extra intensity, analogous to a literature review in scientific research. Kyouzai kenkyuu involves an investigation of the intended learning trajectory related to the topic, from prior to later grades, through a review of the standards and curriculum, and research into teaching and learning issues such as typical misunderstandings around the topic. Kyouzai kenkyuu also includes consideration of possible tools, manipulatives, or materials that may be used, and possible tasks that may be presented to students. Thorough kyouzai kenkyuu helps avoid “reinventing the wheel”, making it more likely that CLR will contribute new knowledge to the education community. This is also where teachers frequently deepen or strengthen their content knowlege. One obstacle for teachers in the U.S. is the quality of available materials to support kyouzai kenkyuu, especially compared to the materials available to Japanese teachers. This problem has been especially acute with the early implementation of the Common Core, as no curricula were immediately available that aligned well with the new standards. Many of our partner schools have relied on a translated version of a popular Japanese textbook series, since the CCSSM were largely inspired by the Japanese curricula, and since the Japanese textbooks support teaching through problem solving. 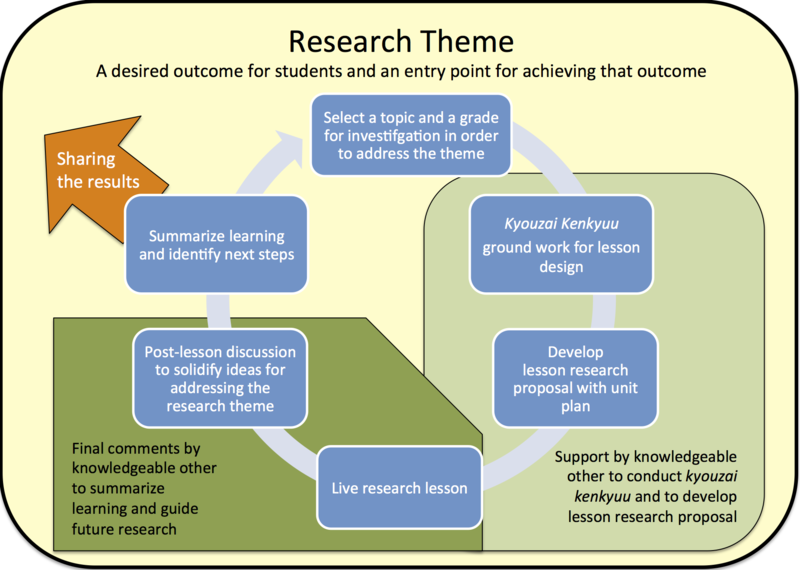 A CLR planning team – usually 3 to 6 teachers – creates a written document, called the lesson research proposal, to communicate what the team learned from their kyouzai kenkyuu, and to explain their instructional thinking. In addition to a detailed teaching/learning plan for one particular lesson (the research lesson), the research proposal includes an overview of the unit in which the research lesson will occur, the rationales for the design of the unit and research lesson, and a clear statement of how the research lesson aims to address the research theme and the learning goals of the lesson. In our experience, a thorough lesson research proposal may be 9 pages long! We developed (and continue to refine) a template document to guide CLR teams in organizing their Lesson Study work and in writing their proposal. Based on the lesson plan in the research lesson proposal, one member of the team teaches the research lesson, observed by the entire planning team and by additional members of the CLR community. Observers are responsible for collecting data on how the lesson impacts the students, relative to the research theme and the learning goals. A video recording of the lesson can be useful for some purposes, but CLR requires observations from multiple viewpoints, so video cannot substitute for live observation. 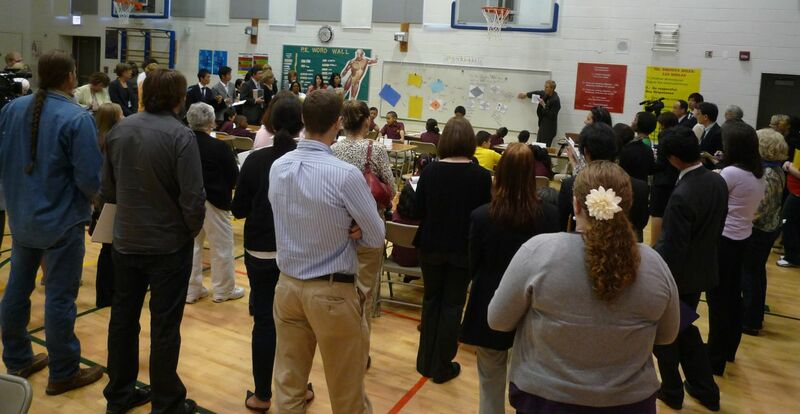 As soon as practical after the research lesson, observers share data and discuss implications, especially with respect to the learning goals of the lesson and the research theme. The primary goal of the discussion is to gain insights into teaching and learning and to inform the design of future lessons, not to revise the lesson plan. These discussions generally benefit from a moderator, someone not on the planning team, who helps focus the discussion on important issues and keeps the conversation grounded in data. 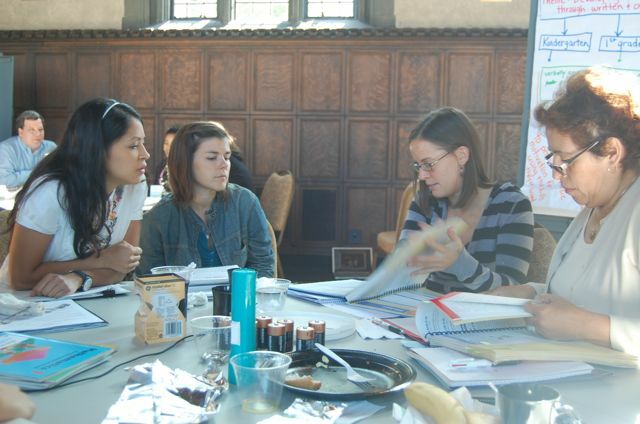 Some groups refer to this activity as a “debriefing”, but we avoid that word because, in its strict sense, “debriefing” means the extracting of information from someone, such as a spy, rather than a collaborative discussion about a shared experience. Thus we prefer the phrase “post-lesson discussion.” Our guide for facilitating a post-lesson discussion can be found here. A knowledgeable other is someone from outside of the planning team with deep expertise in the content, often deep expertise in teaching, and much experience with Lesson Study. A knowledgeable other helps the CLR team go beyond what they know. Ideally a CLR community needs two knowledgeable others: one for supporting development of the research proposal and another for providing the final comments at the end of the post-lesson discussion. During planning, a knowledgeable other may help the team identify instructional examples to review, valuable resources in the form of articles or results from other CLR work, and may give feedback on the proposal. Besides having extensive knowledge of the subject matter and the topic, this knowledgeable other should be familiar with the school’s curriculum and students. An experienced teacher or a content coach who often works at the school may play the role of this kind of knowledgeable other. Dr. Tad Watanabe gives final comments on a lesson. 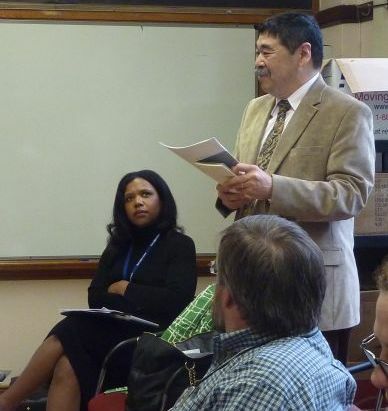 In addition to Dr. Takahashi and Tom McDougal, a few Chicago teachers with several years of Lesson Study experience have served as discussion moderators and knowledgeable others. Please contact us if you want our support. Lesson Study can be powerful not only for the team of teachers who planned the research lesson but for others as well. Thus CLR requires a structure or process for disseminating what is learned from each research lesson to a larger community. A simple way to enable others to learn from the research is to invite people from outside of the planning team to observe and discuss the research lesson; meanwhile, the team can benefit from the additional eyes and expertise that the additional observers bring. All of our partner schools find ways to enable teachers to observe each others’ research lessons and to observe research lessons at other schools. In addition, the team may distribute their research lesson proposal, which encapsulates the team’s research and their instructional ideas, and can be useful to other educators. 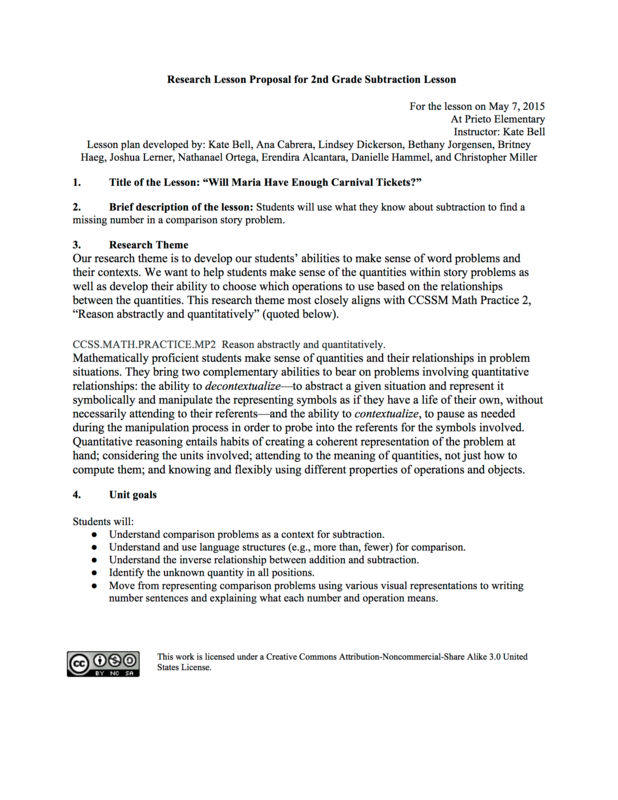 This document is made more powerful through the addition of a written reflection by the team, completed within a few days after the research lesson, which describes what they learned from the live lesson observation and post-lesson discussion about their research hypothesis, mathematics, student thinking, teaching, etc. In Japan, these documents are sometimes published in collections of research lessons organized by grade level or topic, and can be found in major bookstores! Collaborative Lesson Research is an intense process; one CLR cycle typically spans 6 to 10 weeks. 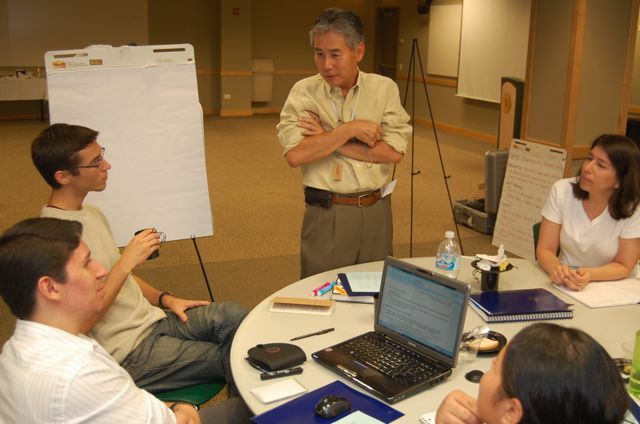 Some U.S. educators, accustomed to thinking about professional development in terms of 2-hour workshops, will object: “How can you spend so much time on just one lesson?” But CLR is not about just one lesson; a good research theme ensures that what is learned from CLR applies to many lessons, perhaps to all lessons. Teachers who have gone through CLR with us often say that the process leads them to think differently in planning their everyday lessons, and we have seen significant changes in teacher practice resulting from CLR. At the same time, we acknowledge that multiple CLR cycles are almost always required, because most worthwhile research themes are difficult to accomplish. Lessons learned from one CLR cycle lead to revised theories about how to address the theme, or adjustments in the theme itself, which lead to another CLR cycle involving a different topic perhaps at a different grade level. We chose the six defining characteristics of Collaborative Lesson Research listed above based on findings from research on Lesson Study outside of Japan and jugyou kenkyuu in Japan, and our own experience working with schools. As defining characteristics, we consider them required elements of CLR: if any of them is missing, then the activity cannot be called CLR. And, we believe, all six elements are critical to ensuring that Lesson Study is as effective as it should be. 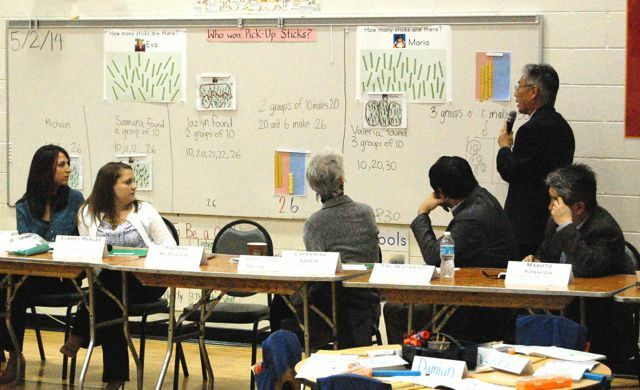 As Knowledgeable Other, Dr. Takahashi gives final comments on a kindergarten lesson at the Chicago Lesson Study Conference at Prieto in 2013.